A glamorous couple who landed in the centre of a social media storm over their "stupid" photo at an infinity pool in Bali have hit back, saying the reaction was a "bigger deal than we could have imagined". Kelly Castille and Kody Workman of @positravelty shared the picture on their Instagram page earlier this month, which showed them kissing while Workman held onto Castille as she dangled from the outside of the pool in Ubud, above a significant drop. Many of the American couple's 101,000 Instagram followers praised the stunning image but others criticised the couple, branding their stunt "so crazy", "stupid" and "terrifying". "I love the picture but I don't think the risk is worth it," shared one person in the comments. Another said: "While I don't wish harm on anyone. The ignorance these people display just calls for them to get hurt. Tempting fate is never a good idea …"
Others called the pair "morons". But the couple has hit back, saying Castille was safe the whole time, and they "weren't going to feed into the negativity of this". "We have received so much love, support, kindness and thoughtful messages from friends, family and our community. This is something we are very happy about, an aspect of this that we find ourselves immensely proud of," Castille, 33, and Workman, 32, told Fox News. "Our account is about creativity, photography, kindness, perspective, and above all … positivity. Whether a photo does well or not, whether it is perceived one way or another, is irrelevant to us. We post what we love and what we believe showcases our happiness, our adventures, (and) our creativity. "This has become a bigger deal than we could have ever imagined and we, going forward only wish to discuss positive things and the reality behind the photo." The couple told Fox News they met in Panama in October 2017 and launched their joint Instagram account in May last year. While the travelling couple share photos from their constant travels to exotic locations they said the lifestyle wasn't so easy. "A misconception with Instagram is that everything is lavish," they said. "When you consider the hours spent taking photos, editing in post, writing captions, keeping up with our friends and community, and the time spent travelling from one location to another … it is a lot of work. "We have so many 14-hour days of what is now our form of work, but we absolutely love it. "We wouldn't trade it for the world, no matter how little sleep we typically get." The furore surrounding Castille and Workman's Bali photo comes as new research from Compare Travel Insurance revealed close to one in two Australians considered the "Instagrammability'' of a destination when they booked a holiday. Some 43 per cent of Australians surveyed said they would choose a location according to how it would look on their social media feeds and 35 per cent said they were inspired by travel bloggers and influencers. But Natalie Ball, the director of Comparetravelinsurance.com.au, warned the trend had negative consequences, especially with so many holiday accidents and deaths linked to travellers taking risks to get the perfect photo. "It's frightening that travellers are literally dying for the perfect shot," she told news.com.au. 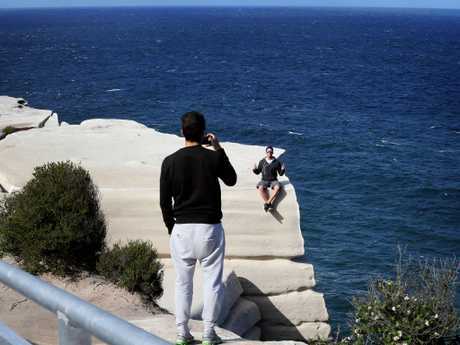 "Tourists have also been blamed for offending locals, disturbing natural scenery and damaging historical artefacts in the process of getting an Instagram-worthy picture. "Travellers should consider the cost before they snap away. No view is worth putting your life on the line." An Australian man and his British girlfriend died in June last year in Portugal, where they were understood to have fallen to their deaths while taking selfies on a cliff at a beach. More than 250 people worldwide have died in pursuit of the perfect selfie since 2011, according to research from the All India Institute of Medical Sciences last year. About half of those deaths happened in India, which is considered to be the selfie-death capital of the world. 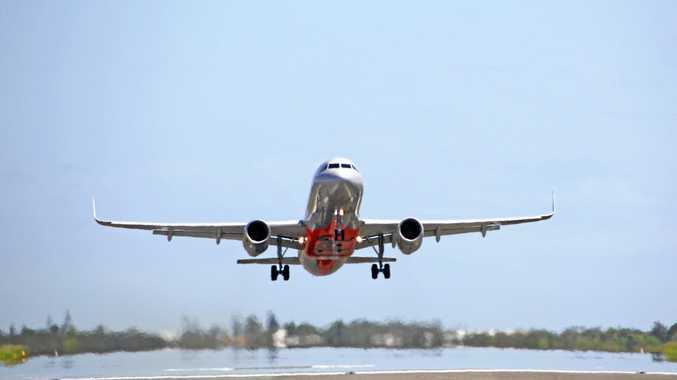 Last week, authorities in Thailand threatened the death penalty for any people caught taking dangerous photos with low-flying planes at Mai Khao Beach near Phuket's international airport, which is a popular photo opportunity for visitors. Ms Ball said injuries or deaths sustained while indulging in risky behaviour - such as taking dangerous photos - were not coverable by travel insurance. "Dangerous behaviour of any type is unsurprisingly, not covered by travel insurance," she said. "When you knowingly put yourself in harm's way any liability immediately becomes your responsibility."